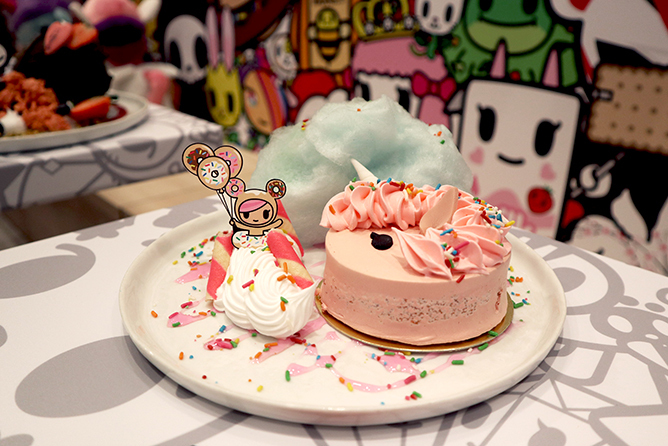 Your Unicorn Dreams Are About To Come True At The Tokidoki Pop-Up Cafe, Open Now Till June! 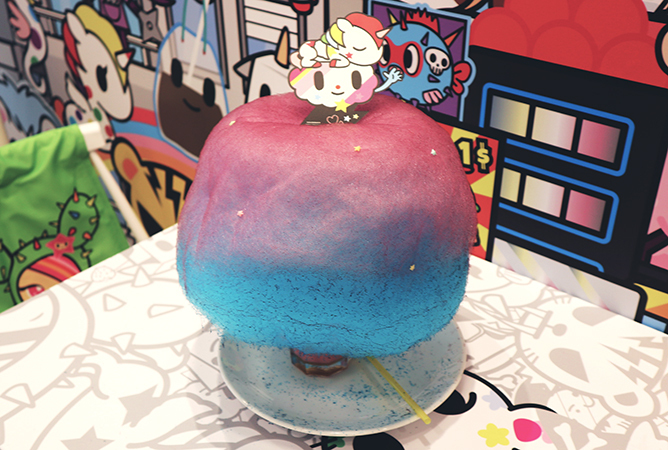 It’s a Tokidoki dream come to life at the first-of-its-kind pop-up Tokidoki cafe! From now till end June 2018, fans of the Simone Legno brand can head down to Kumoya to get their unicorn fix. All decked out in Tokidoki’s trademark eye-popping aesthetic, you’ll be greeted by a larger-than-life statue of Little Terror at the entrance along with dozens of Unicorno plushies waiting for you at every table. There are also plenty of merchandise on display, from collectible toy figurines to quirky accessories, all available for purchase. But let’s get down to the real deal: the food. 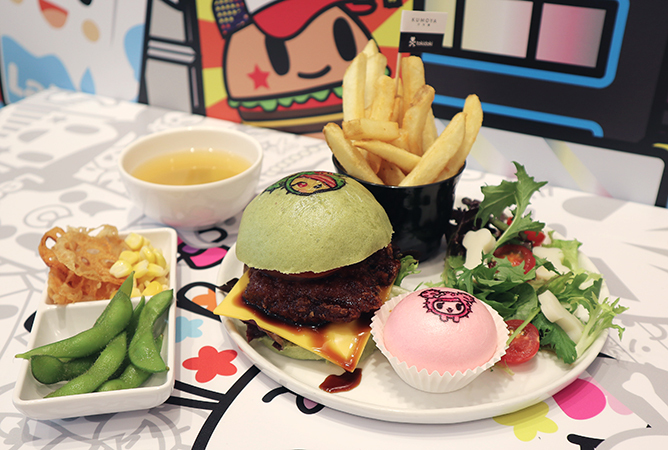 Created by Little Miss Bento, the Tokidoki-inspired menu features a variety of insanely adorable mains, desserts and beverages that will leave you spoilt for choice. Here’s what we ordered. Undeniably the star of the show, this mountain of rainbow goodness arrived with a massive cotton candy sitting atop a concoction of passionfruit and strawberry calpis with butterfly pea tea. It makes for perfect Instagram fodder, but we suggest that you snap it quick ’cause it’s gonna create a huge mess if you leave it out for too long. Let the cotton candy melt into the drink for a sweeter flavour, and sip away! Can we expect anything less from Little Miss Bento? 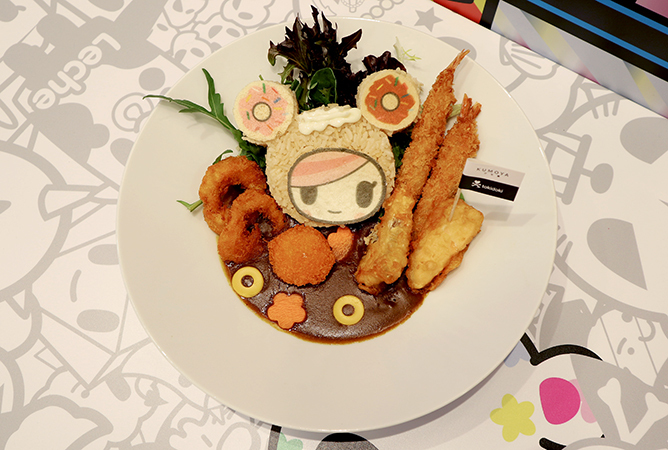 This scores major points for presentation – think Teriyaki flavoured rice shaped into Donutell and doused in Japanese curry. A plate of Donutella sets you back a solid $25.90, but it makes up for the price tag with generous portions of tempura salmon, breaded ebi, scallops, calamari rings and fresh garden salad. The SANDy and Polpettina burger doesn’t disappoint, either. For $23.90, you get a juicy slab of chicken katsu dipped in sweet teriyaki sauce and sandwiched between toasty green buns, served with a bite-sized pink custard mantou and hand-cut fries on the side. This one’s almost too pretty to eat, but you’re gonna have a hard time resisting anyway – it’s a unicorn in cake form! The strawberry sponge cake comes accompanied with delightful swirls of fresh cream, marshmallow hearts and a fluffy cloud of cotton candy, and what’s not to love about that? To sweeten the deal, you can also get your very own Peperino or Marea plush key ring with every purchase of Unicorno Rainbow Magic Parfait ($23.90). All Frappe beverages ($17.90) are also served with a free Donutella float that you can take home. 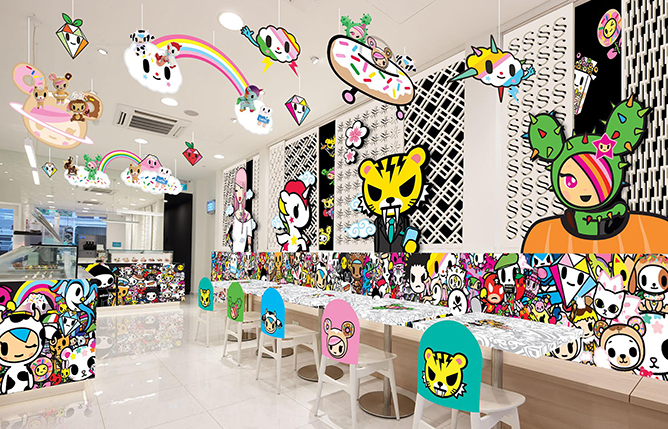 The Tokidoki x Kumoya pop-up cafe is located at 8 Jalan Klapa, Singapore 199320, opens from 29 March to end June 2018. More related stories: 9 Questions With Tokidoki’s Simone Legno, Tsundere Cafe, Final Fantasy Cafe And Other Fandom-Themed Spots To Geek Out At, Say Chiizu To Open Its First Cafe In Singapore! It’s time to flick off your lights! With Earth Hour ticking in, we debunk traditional means and pack in ways to go green the fun way! From stay-home activities to everyday habits, here are 10 easy ways to #Connect2Earth in 2018. Say no to disposable plastic straws (or anything plastic, really – but plastic straws are a good place to start). If you’re not a fan of sipping straight from a cup, get yourself a cute reusable straw that will last you a lifetime. Pop this baby into a glass of lemonade or homemade smoothie, and tuck yourself in for a movie night-in during Earth Hour! Nearing a project deadline? Exams just right around the corner? While you’re heading out to grab your morning cuppa for a pick-me-up, don’t forget to bring along a mug or tumbler with you. If you’re reading this now, hit up your nearest Starbucks during Earth Hour from 8.30pm to 9.30pm with your bottle and get a free tall-sized coffee on the house. Don’t say bojio! Start incorporating environmentally-friendly products in your life – this means supporting sustainable, ethical brands that are committed to making a difference. For makeup junkies, here are some eco-friendly beauty brands to consider adding into your collection. We’re all too familiar with the dilemma of having a wardrobe filled with tons of options, but still have nothing to wear. Before you start aimlessly throwing out your clothes, why not set a date with your pals for a big wardrobe swap? This shouts for a fun yet economical way to refresh your wardrobe and change up your style – all while saving the Earth and the dollars in your bank! Alternatively, you can also donate your old threads to secondhand shops like Refash or charity organisations like The Salvation Army so they can have a new lease of life. Why print out something just to toss it out? With the ease of technology and handy access to emails these days, start opting for E-tickets for your next movie date or vacation instead! This saves the hassle of printing and possibly, a couple of trees too. There’s a whole world out there for you to explore beyond your pixelated screens. Leave your electronics indoors and head out for a weekend of outdoor fun! Take the opportunity to try out activities outside of your comfort zone – ride the waves at Wavehouse Sentosa, bring out your inner Tarzan at Forest Adventure, or go on a real outdoor rock-climbing adventure at Dairy Farm. Doing your part for Earth Hour while burning the weekend calories? Count us in! For those who prefer staying indoors, don’t just have your eyes glued to your favourite shows all day. When the lights go off, switch up Netflix for some classic board games that will keep you entertained for hours even after Earth Hour. To spice things up, you can even impose fun forfeits and penalties. Instead of trashing everything into one bin, we suggest having a recycling bin at home to sort out your recyclables. 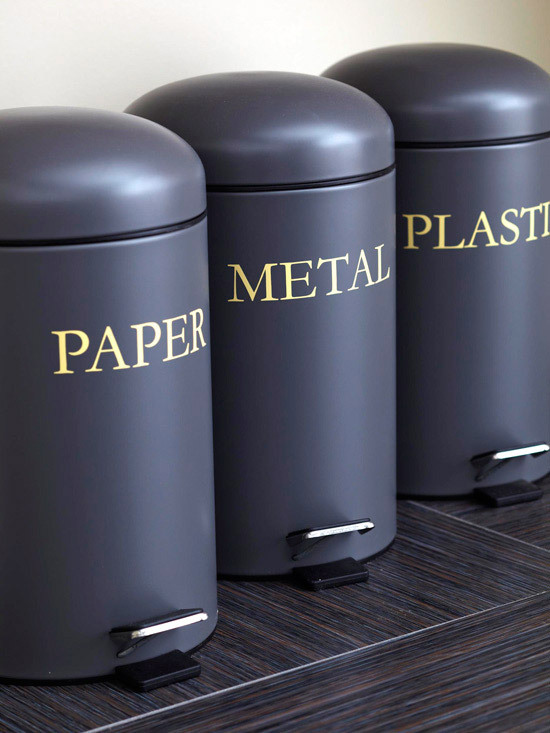 To make recycling more fun, feel free to personalise and doll up your bins – trusty ol’ Pinterest got your back with a ton of DIY tutorials. Living green doesn’t get any more stylish than this! Before you say “brrr…”, hear us out. Although it’s more tempting to go for a hot shower in the morning, taking a cold shower does wonders for your body and is healthier for the environment too. Not only does it keep you feeling fresh and alert, it’s also proven to improve circulation and aid weight loss! Besides, what better way to depuff your face after a sinful night of supper? An impromptu grocery or shopping run? Go green by always having a handy, foldable eco bag with you – you’ll always be ready when your inner Rebecca Bloomwood strikes! You can easily get a recyclable bag anywhere, but if you want to score bonus style points, you can choose to customise your tote bag at online stores such as thexstyle. Every year, people around the world are switching their lights off from 8.30pm to 9.30pm on 24 March. But it’s more than just turning off the lights – follow our tips above to celebrate Earth Hour every day! Are you doing your part to #Connect2Earth? You Can Now Catch Cherry Blossoms In Full Bloom, Right Here In Singapore! You no longer have to fly all the way to the Land of the Rising Sun to catch the cherry blossoms, as you can now get the full hanami viewing experience at our very own Gardens by the Bay from now till 8 April 2018. 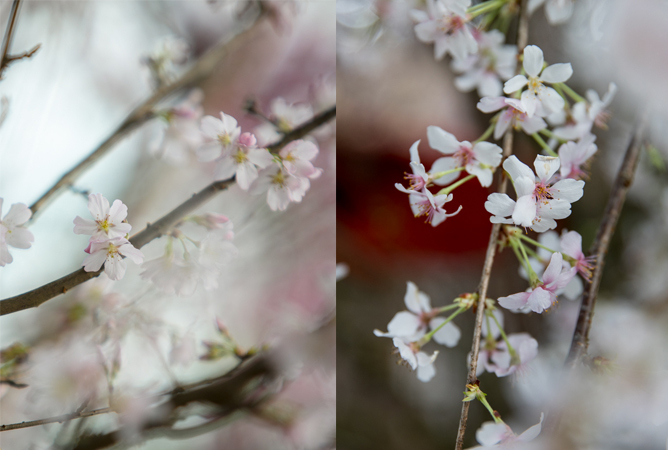 As part of the inaugural Sakura Matsuri (Cherry Blossom Festival), the Flower Dome is transformed into a magical sakura forest embraced by a canopy of pink and white blooms. Set against a Japanese-inspired landscape, one can expect plenty of ‘gram-worthy ops – from traditional tea houses, to torii gates, to the lifelike dolls on display. While soaking in the views, don’t forget to immerse yourself in the other Flower Dome programmes such as Japanese tea ceremonies, kimono parades and more. 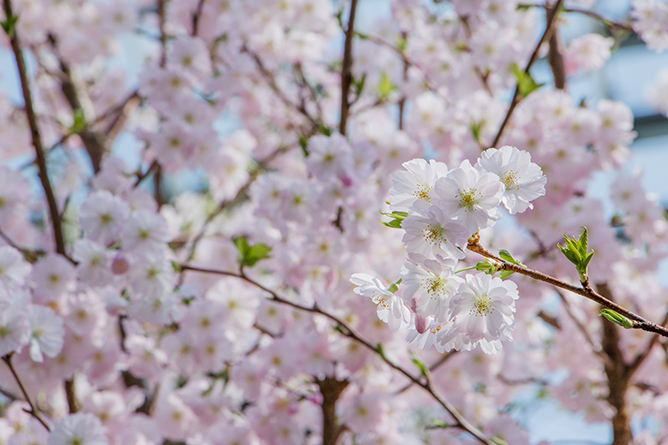 Rounding off the festivities is the Sakura Japan Fair, which will be held over the last week of Sakura Matsuri from 30 March to 8 April. Savour delicious Japanese treats, enjoy cultural performances and participate in the various workshops such as baking, bento making and sake appreciation. But don’t leave without renting a yutaka (rental charge applies), which will make for super pretty #OOTDs – psst, those wearing a yutaka will be given priority to snap a free picture at the photo booth! Check out the Calendar of Events for the complete programme lineup. Sakura Matsuri is happening from now till 8 April 2018 at Flower Dome, Gardens by the Bay. Millennials vs Parents: Who's The Better Traveller? Travelling with our clan is an entirely different ball game when compared to going on a trip with our friends – travel habits, itinerary preferences and all. Family dynamics may be hard to navigate, but according to Expedia.com.sg’s Family Travel, 75 percent of teenagers said that their parents are their favourite holiday companions! That’s not all; 6 in 10 respondents also agree that at the end of the day, it’s making memories together with your loved ones that counts. Just ask these three millennials, who took part in the Expedia Singapore Family Showdown in hopes of scoring a dream staycation for their family. Roping in their folks for the challenge, our friends at Expedia put them to the test to see who knows the other better. It was full of fun and laughter as the families spared no hesitation in spilling hilarious anecdotes about each other’s weird quirks, embarrassing overseas encounters and more! After all, our family knows us best – or do they? And here’s the fun part: it’s up to YOU to decide which family gets to embark on the getaway of their dreams. Simply watch the videos below and vote for the pair whom you think deserves to win! The video entry with the most amount of votes will win a staycation for their family worth up to $3,000, while the remaining two finalists will each receive an Expedia voucher worth $500. In the first episode of the Expedia Singapore Family Showdown, watch as Aisyah and her dad, Mustapah, battle it out to see who knows the other better as they talk about their favourite family vacation moments, who’s the more forgetful one in the family, and their wish for a dream family holiday. In the second instalment of the Expedia Singapore Family Showdown, we have Shirmin and her mum, Vercilia, giving us a peek into their embarrassing encounters overseas, and amusing family bickers as they spend time travelling as a family. In the last episode of the Expedia Singapore Family Showdown, Ruqsaar and her mum, Sarifah, tease each other on their family vacation quirks and habits to bring the series to a heart-warming close. Which video is your favourite? Simply fill in your particulars below and start voting! Also, don’t forget to sign up here as an Expedia Rewards member to enjoy exclusive members-only deals. Closing date for this contest is 30 March 2018. This contest is open to all residing in Singapore only. Only one submission per person is allowed. Any entrant who enters more than once will be disqualified. The video entry with the most amount of votes will win a staycation for their family worth up to $3,000, while the remaining two finalists will each receive an Expedia voucher worth $500. All details and particulars submitted must be accurate and complete. Any incorrect or incomplete information found in the entry will result in the disqualification. Media Group reserves the right to suspend or cancel the voting at any time. Here Are All The Best Events Happening In Singapore This March! From immersing yourself in light art installations, to swooning over cherry blossoms, to partying it up on the streets, we’ve got your March hit list covered! International Women’s Day may be over, but there are still other ways you can celebrate womanhood. 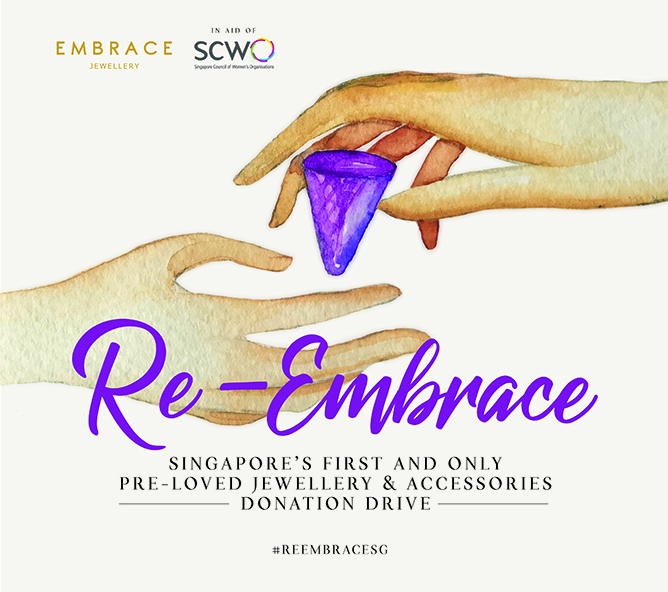 Following the success of their charity drive last year, homegrown jewellery store Embrace Jewelry once again partners up with the Singapore Council of Women’s Organisations (SCWO) to empower and help women in need. And what better way to support a good cause than donating your pre-loved jewellery? Simply drop off your old accessories at the locations below – proceeds will go towards Star Shelter, a crisis shelter for survivors of domestic violence. Find out more about Re-Embrace Charity Drive Returns here. Back for its second edition, Make the Future Singapore is a four-day festival packed with tons of exciting activities and interactive games. From showing off your moves on the kinetic dancefloor to building your own mini saltwater cars, you’re in for an electrifying good time. Plus, you get to enjoy live performances by homegrown darlings Gentle Bones, Charlie Lim and Jasmine Sokko. The best part? Tickets are free! 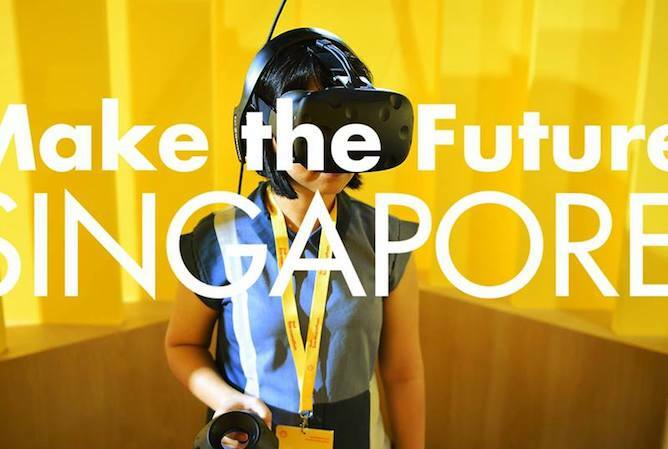 Get your tickets to Make The Future Singapore here. Calling all wordsmiths and art geeks – head down to this new literary festival to enjoy a weekend with words at The Arts House. With a myriad of enticing programmes specially curated for you, there’s sure to be something for everyone – think dramatised performances, film screenings and even a workshop that allows you to personalise your own poems! 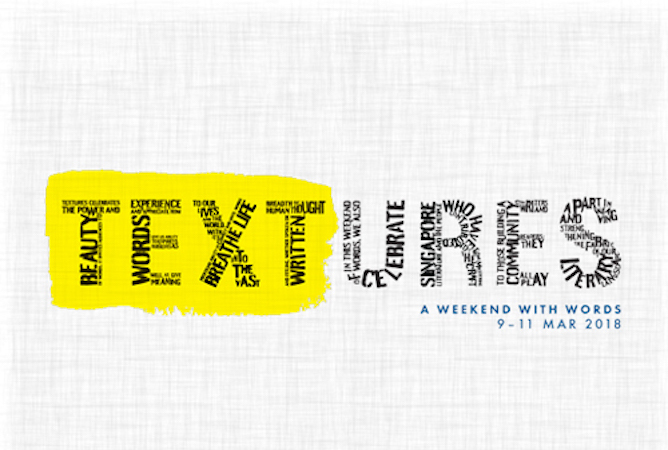 Check out the full programme lineup for Textures – A Weekend with Words here. 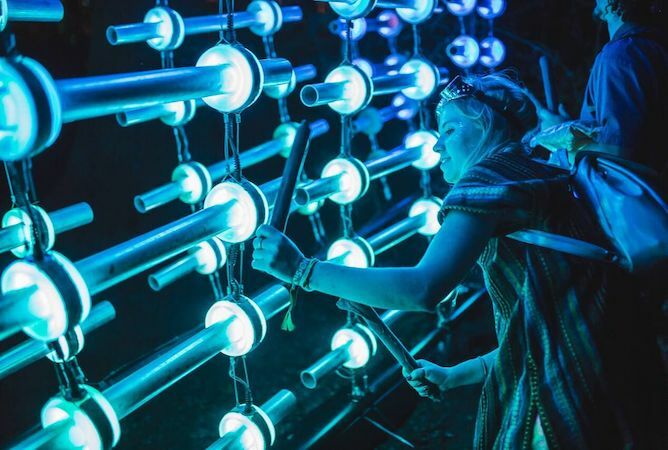 With its massive lineup of stunning light art installations, one would never have guess that these Instagram-worthy masterpieces are actually made up of used products such as plastic bottles and containers in an effort to promote sustainable living. Apart from the visual treats, there’s also a plethora of food options, music performances and art workshops to check out. Admission is free, find out more about i Light Marina Bay here. 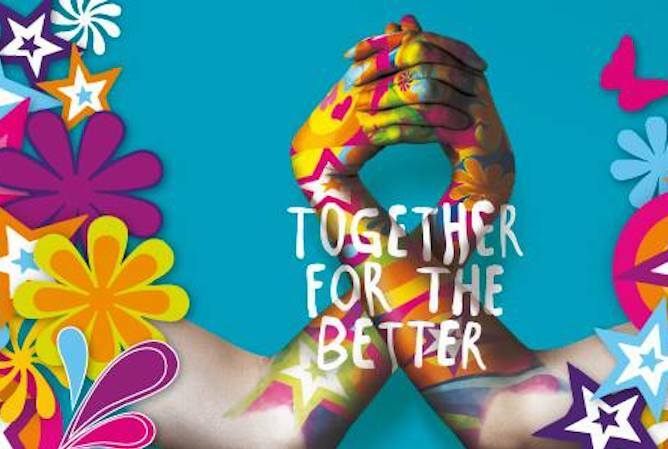 In a joint effort to encourage an addiction-free lifestyle, this enriching one-day event features a series of talks, activities and performances – all in the name of raising awareness of the various types of addiction and preventive measures. Local celebrities Irene Ang, Rafaat Hamzah and Nat Ho will also be coming down to share their perspectives on substance abuse and recovery. RSVP for National Addictions Awareness Day here. If you’re searching for four days of fun-filled, totally unscripted entertainment, the Singapore Improv Festival (SIF) is sure to bring you truckloads of laughter. Now in its second edition, SIF18 features both local and international improv troupes that will bring their unique blend of hard-hitting, show-stopping performances to the stage. For those who are curious about theatre, there will also be workshops to attend if you’re looking to develop some improv skills yourself! 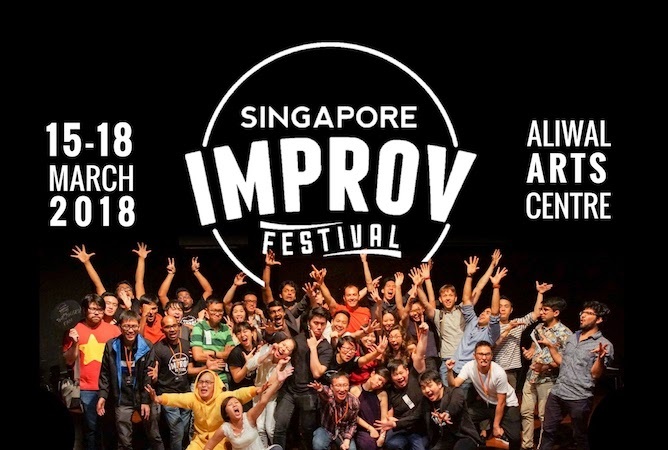 Find out more about Singapore Improv Festival here. 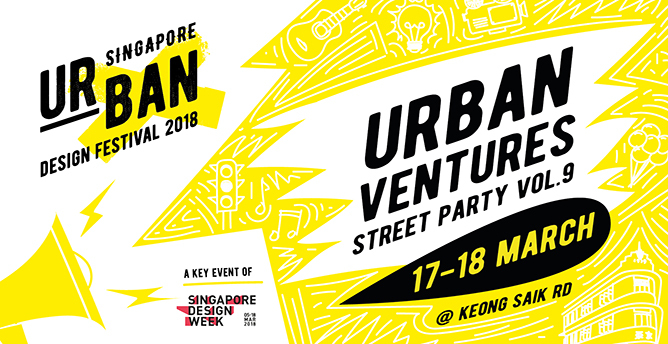 As part of the Singapore Urban Design Festival, Urban Ventures 9 will turn Keong Saik Road into a mega street party featuring the likes of local acts Disco Hue, The Fleurist, Killedbythecircus, Spacedays etc. What’s more, there are artisan pop-up stores, yoga workshops and even a space age augmented reality photobooth that’s sure to give everyone major ‘gram envy – while DJs spin the decks into the night. Find out more about Urban Ventures 9 here. Why travel to Japan for the sakura blooming season when you can welcome Spring right here in Singapore? 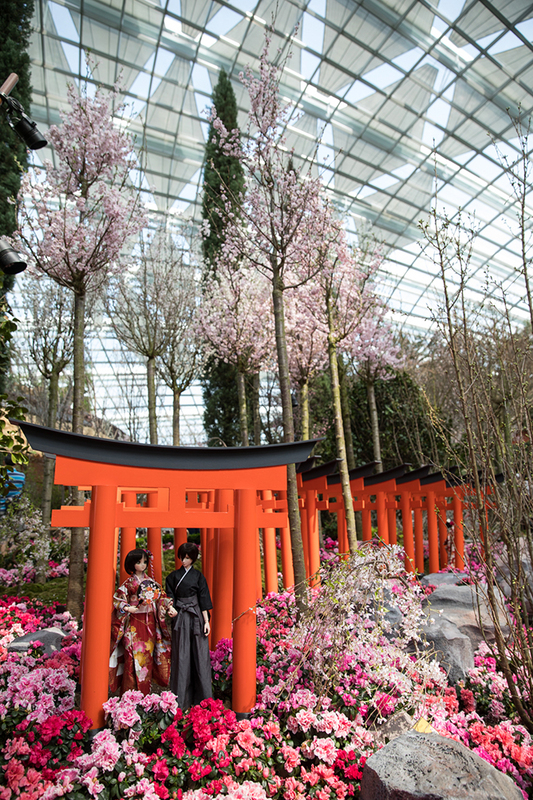 For the first time ever, our very own Gardens by the Bay will be holding a Japanese-themed festival to showcase its annual cherry blossom floral display. Aside from the hanami experience, anime enthusiasts can also look forward to a host of activities such as free anisong concerts, appearances by celebrity cosplayers and even a Pikachu dance parade! Find out more about Sakura Matsuri here. Talk about March madness! What will you be up to this March? Tell us in the comments below.